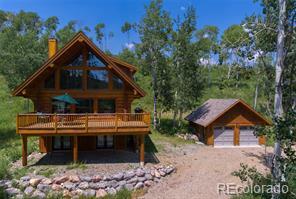 This must-see home on 5 acres in North Routt is immaculate and move-in ready. Completed in 2009, you'll appreciate the main level master bedroom suite, three car oversized garage, and an open living area with oak floors, vaulted ceilings and stone fireplace. Let your imagination take over while finishing the lower level which features a large walk-out rec area, 2 bedrooms, 2 baths, and huge storage/workshop. The electric, plumbing and drywall have been installed and only needs your choice of finish trim and flooring to be complete. Two decks for outdoor living and a spacious lot with views and a pond. 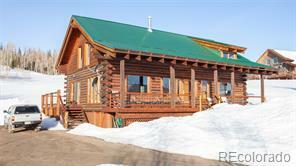 This gem is minutes from Pearl Lake State Park and Steamboat Lake State Park. No comparison to other homes in the area--this one will surpass your expectations!